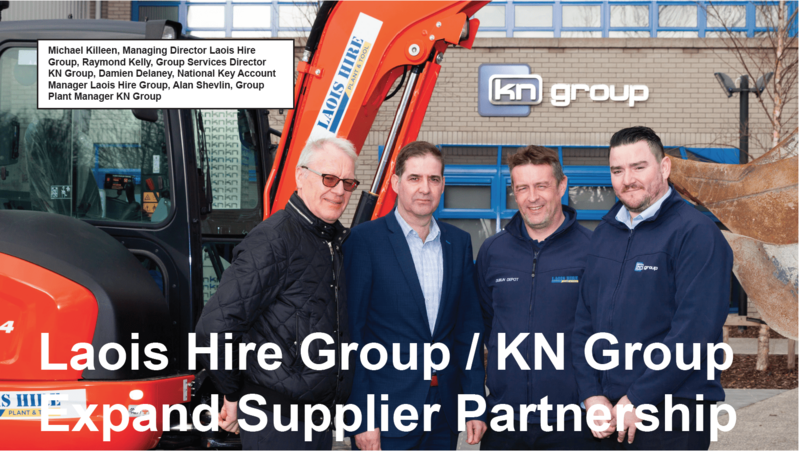 The Laois Hire / HSS Hire Group, Ireland’s largest plant and tool Hire Specialist, have recently made another major investment to further expand their plant fleet as part of the company’s growth strategy. Another major investment in Kubota excavators signals the Group’s commitment and serious intent to focus on delivering the newest and best fleet of machinery available to customers today. With such a vast product range, and a network of 26 service locations across Ireland, they have continued to galvanise their position as the only nationwide supplier at the top of the Irish hire industry. The Laois Hire / HSS Hire Group recently completed a major investment in Kubota excavators to add to their commercial hire portfolio. The new range of mini excavators from the leading manufacturer offers high performance excavation, operator safety and comfort. Michael Killeen, Managing Director of the Laois Hire Group commented on the impressive rate of fleet expansion. “Even though we consistently invested in new fleet, we have decided to increase the pace of our fleet expansion ahead of schedule to match the demands and expectations of our existing and future customers”. “Our excavator fleet continues to be dominated by Kubota, which has been part of the fleet since the outset. We have found Kubota to be an excellent brand, trouble free, very popular with our customer base and backed up by an excellent service. We have also found that certain customers will request Kubota equipment for certain projects.” states Killeen. Customers are also benefitting from the new investment. Killeen informs us that, customers are responding well to the excellent quality of the new machines, and fully hydraulic hitches. And the investment for the Laois Hire / HSS Hire Group doesn’t end there. “The new fleet of Kubota excavators are currently running at a very high utilization, which will result in us returning to the market to further expand in a wide range of products this year,” says Killeen. To ensure the expanding fleet is available to all customers, the Group is also focused on a program of branch expansion in Ireland. With a new supercenter recently opened in Limerick and another new branch due to open in Waterford in September, this adds to the Group’s established network of 26 hire branches and super centres across Ireland and Northern Ireland. They are part of a blueprint of “selling” branches being implemented by the group, designed to provide an ever more customer-centric hire experience and supporting their revolutionary operating network which is driving best in class service and availability in the market. 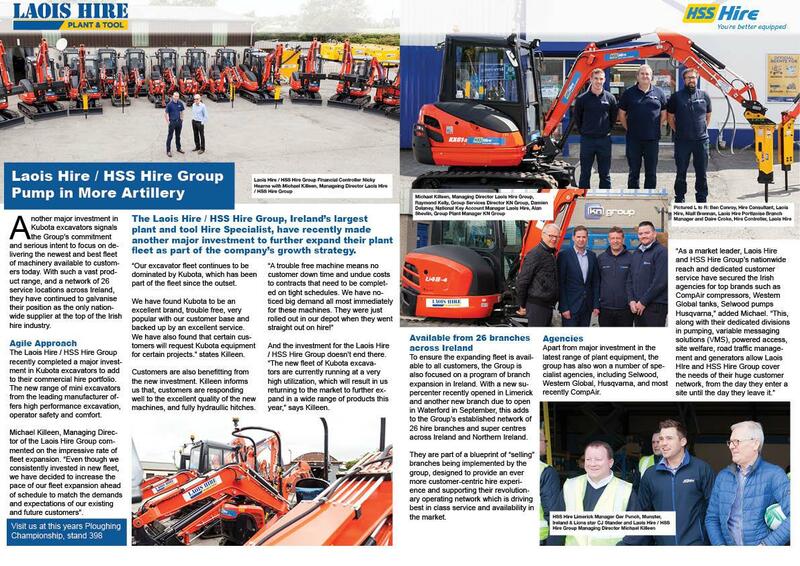 Apart from major investment in the latest range of plant equipment, the group has also won a number of specialist agencies, including Selwood, Western Global, Husqvarna, and most recently CompAir.